If you are unable to attend a game in your ticket package, simply return your tickets to the box office at Dow Diamond before the day of the game, and we will exchange them for tickets to any future game (based on availability). Tickets may also be redeemed after the game has occurred for lawn seats (based on availability). New for every season, each member receives a coupon book packed with coupons and offers only available to Founders Club members. 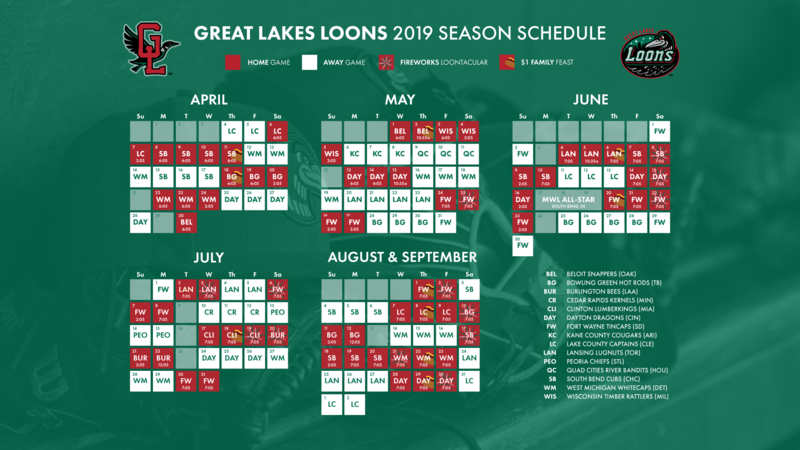 From a free value meal at the Great Lakes Grill, to free hot dogs and soda, even a discount on your next purchase in the Loon Loft, fans can take advantage of extra benefits when they come to a game! On top of that, select offers outside the gates are available in the community. Over $100 in value is packed into the Loons Coupon Book. When you join the Founders Club, you aren't just purchasing a ticket package to watch some Loons baseball. You're joining the Loons family. We strive for excellence in everything that we do, and that includes customer service. Anytime you have a question about your tickets, feel like you need more information about an event happening at the ballpark, or want to stop in to meet with some face to face, we're committed to going above and beyond to make being a Founders Club member the most enjoyable experience it can be.